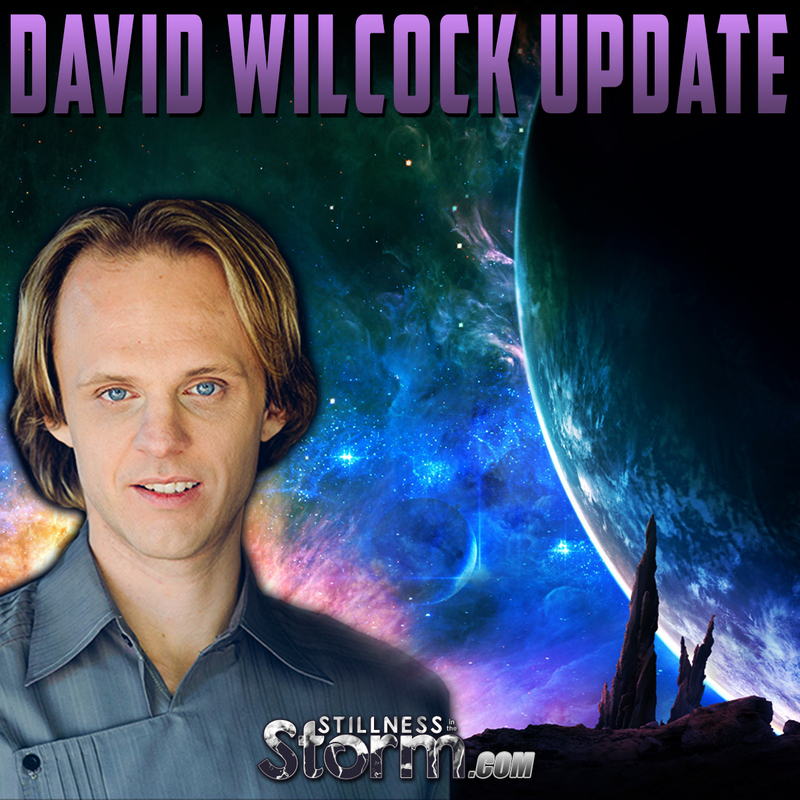 (Stillness in the Storm Editor) During Contact in the Desert this past weekend, David Wilcock gave a series of talks. Here are a series of notes that were graciously sent to Kauilapele, who posted them on his website. The dimming of the star has been increasing lately. You’d need 648,000 comets passing in front of it to produce the dimming we are seeing, so that’s not what’s causing it. All the publicity on this phenomenon is ‘drip’ disclosure to get people ready for whatever this happens to be. It has the light of a thousand suns (fast radio bursts), with no ‘afterglow’. It could be the expulsion of energy of a vehicle going into space at the speed of light. The ‘flux’ is severe; the star is getting darker and darker. Jupiter in front of Tabby’s Star could dim the light by 1%, but the light has dimmed by 17-22%. ET’s could be using this dimming to send us binary messages, etc. It may be an attention-seeking cycle on the part of ET’s. It is sending us a key mathematical formula right now. Quantum entanglement works beyond normal space-time. We could use this concept to attempt to communicate with it to find the coded message (in one of his presentations later on at this conference, Robert Bauval will be leading a meditation to connect with this alien infrastructure). David’s insider ‘Jacob’ says that he’s visited Tabby’s Star. It’s a civilization and it is very beautiful. There are actually three of them. It may be drawing objects to itself to gather energy to create life. Then, it would travel elsewhere and use that gathered energy to terraform planets. We are in the biggest shift and biggest crisis ever in the political world. Embrace the chaos, reserve judgment, and see what happens. An informant of Linda Moulton Howe told her that after July 15, 2017 there could be an event that could shock the Earth’s system. It correlates to the last similar cycle on July 16, 1946. This person says there is architecture on the dark side of the moon which matches the architecture that has been found in Antarctica. A possible scenario: 12,000 years ago there was a catastrophic event that ‘hammered’ the Universe. Plasma lightning hit the Earth; it took 6000 years for the Earth to recover. The center of a black hole is a quasar. It made the asteroid belt and shot material at our planet. It caused the Flood, which lasted just two weeks, not for thousands of years. There is a black mat of carbon nano-diamonds on the other side of the Northern hemisphere. It is also called the Usselo Horizon. They have looked to find a counter-point on the other side of the globe but have not found one. The black mat is five inches thick and is oily to the touch. 9,600 BC was the end of a mini ice age (this is when Gobekli Tepe was constructed).The ice came back suddenly, like a freight-train of “beads” shooting around the Earth. It caused ‘nuclear winter’ and this is what created the black mat. The mat has vast amounts of platinum in it. Platinum is not from this Earth. Whoever made Gobekli Tepe knew that something big was coming. Gobbekli Tepe was built on a hill, on the advice of shamans. Gold and Platinum are ET materials; they come from the stars. You can create a comet and make it go where you want it to. Astronomical synchronicities are not accidental (such as cycles repeating, etc). Linda Moulton Howe recommends reading the book “Alternative 3”. The book puts forth three alternatives to avert a global disaster. Linda knows someone who has been to Mars six times. We have a base in a lava tube on Mars that is pumped full of an oxygen-blend that humans can breathe. David has an insider that saw a photo of astronauts waving at a giant pyramid on Mars. THE PARACAS SKULLS: The Paracas skulls from the coast of Peru are from 80 BC and were discovered in 100 AD. They have non-human characteristics. They were a people advanced in agriculture, six feet tall, with blonde hair, light skin and possibly green eyes. They do not have any Native American genetics and did not cross the Bering Land Bridge as the Native Americans did. Some of their heads are more flat-topped and others have a bun-like dome. They have no saggital suture. Their eye sockets are huge and there are two large holes at the back of their head for blood flow. A full skeleton was found with a head that was twice as big as the others. A baby was also found whose head was twice as big as it’s torso and had an elongated skull. There were three Starchild Skulls found in Peru. The material making up the skulls was similar to our dental enamel. They have very shallow eye sockets and optic nerves that do not connect in the ‘normal’ place. Albinism could be the result of ET/human hybridization. Reptilians can create bodies with blond hair and blue eyes, and vice versa (those who are naturally light can create darker bodies), making it harder to know who they really are. David showed a perfect replica of the tiny Atacama ET made popular by Steven Greer. Every detail was faithfully reproduced. This being has 10% ET DNA. It’s a fully adult being. They lived on Easter Island. When they passed away, the Easter Island people would string them onto necklaces and wear them for wisdom and good luck. Passageways were found on Easter Island that were just the right size for these “little people”. Linda Moulton Howe told a story about a woman who went out to visit a ranch that she was considering buying. While there, she felt a dozen “little people” moving across the tops of her shoes. The little people spoke to her telepathically and asked her not to buy the land. She heeded their request and did not purchase the ranch. Mainstream media is at the breaking point. To help move this along, spread the real truth through social media. Don’t wait for disclosure, go out and find it yourself! The Powers That Be can control things stemming from the past but have no control whatsoever over the present or the future. Imagine what it would be like to have a car that requires NO fuel and never rusts. There are businesses that will benefit highly from the release of free energy, such as telecommunications. Disclosure is freedom from the belief structure that makes us feel we are alone in the Universe. These are the notes I took during the panel discussion. As best I could iPhone-type. I know Joan Wheaton will be adding her notes, eventually. AC: Alien Megastructure discovered in Cygnus, announced by NASA. Just reported NASA official news that they have discovered an alien Civilization out there in Cygnus… Many telescopes pointed that way. Dyson sphere. MB: Same groups attacking/opposing disclosure are the ones opposing Trump. LMH: someone she know says structures back of moon match Antarctica and Mars structures. And there have been people going there and taking out bodies, artifacts, for 15 years. AC: Ussilo horizon. Black mat. Group: cataclysmic events might have been brought about by SSP or alien type craft/technology… Grab a comet or rock, and direct it to hit the planet. LMH: read Alternative 3 David (?) Watkins MUST READ. DW: three alternatives to prevent or survive earth disaster. “Alternative 3” is the one where send inhabitants to another planet (Mars). BF: in Peru found skeletons of (most likely) mother and baby, both with elongated skulls. The baby’s skull was bigger than the torso. BF: two weeks ago, found starchild babies in Peru. LMH: Shirley McLain actress knew about SSP and small ETs. Small ETs directed her to NOT buy a property near Santa Fe NM. They were scurrying around her feet. MB: media is falling. Monopoly is being broken. Yes thanks to Trump. Once MSM monopoly broken, disclosure will follow. AC: Don’t wait for others. Find the data, do it yourself. Tabby Star is important. BF: govts try control past paradigms. Not the present or future. You are disclosure. DW: disclosure changes everything. New group, Alliance, wants technology etc to come out. Disclosure = Freedom. Tabby Star is one of tools for disclosure.